Thursday? Me too. Let’s Have a Drink. Today’s prescription is based on the old joke of the two aging pensioners who can barely communicate with each other as each is a bit deaf. That’s the punchline, above, in the title of this post. I find that one of my greatest joys is the anticipation that comes from planning for the weekend, or a date with the always game Mrs. E., or the journey to come. Getting there is half the fun. Well, maybe not with workday travel of any kind, but hear me out. Today, we are going to start tomorrow out right. On your way home tonight, stop by a local farmer’s market or your grocer and buy two large oranges, a banana, some ground flaxseed, several Keylimes (or regular limes if you can’t find the small, tart Keylime), a tub of strawberries, some organic vanilla yoghurt, and a small jug of protein powder (vanilla, again.) Make sure that the protein powder has the most protein grams per serving of the choices on the shelf. Mine (Muscle Milk Light) has 50 grams per two scoops. When you get home, juice the citrus, remove any seeds (I pour through a strainer or a coffee filter if I have to) and put your glass of juice in the fridge. Here’s the part that may seem crazy. Your schedule permitting, get up a little early on Friday and do some light exercise. Yoga, pilates, or a jog and some calisthenics all qualify. Before children had me up at oh-dark-thirty every morning, this was my favourite way to start the day. Up a little before six o’clock, I would run two miles, return to my front porch, do sets of pushups and situps until I reached 100 of each, a few dips and squats and stretch out as the sun came up over the rooftops across the street. Then it was inside to blend the citrus juices with the rest of the ingredients to make a delicious and satisfying smoothie. Shower, shave and dress. My energy levels for the day would be through the roof. Yes, I was that annoyingly chipper guy who walked into the office with a smile on my face, whistling a happy tune. “It’s Friday, I’m in Love”, perhaps. A bonus to this plan is that repeated a few times a week, you will not only feel better, but you will look great, too. These days, it’s catch as catch can, especially during the summer when I have the kids at home more often. But it’s still the best way to start my day and earn a second, smaller breakfast around ten a.m. .
Liquify. Pour into tall glass and drink. Save or share the remainder for later. You can find free yoga and pilates workouts via iTunes in the video podcast section of the iTunes Store. Oh, I had you buy several keylimes… Tomorrow night make Hemingway’s Daiquri: the Papa Doble (from La Florida recipe book of 1939 according to the Wikitender) He was said to be able to down a dozen of these. Must be because he had them leave out the sugar…. Shake with ice. Serve over crushed ice in a rocks glass. After all, you exercised today! This entry was posted in Living and tagged breakfast, cocktails, Hemingway, recipes, summer. Bookmark the permalink. 6 Responses to Thursday? Me too. Let’s Have a Drink. Oh dark thirty made me laugh for half an hour…! I, too, follow more or less your morning routine. An hour run through the woods fending off insects and unchained beasts, followed with gymnastics and calisthenics from the military all before 6 am. Breakfast with fruit and coffee and my first of four cigarettes, Feel like a million bucks! Ok, you’re probably thinking cigarettes? Yeah, me too, but italian coffee must be accompanied by at least one cigarette. It’s just those couple hours out of each day that you care for yourself, look better, feel better, and dress better. Great advice! You’ll have to figure a way to tell us how to keep it up when you have kids. Thanks! CG, things have changed. I catch exercise when I can and have added an exercise body ball to my equipment (shoes, two 20 lb. dumbells, waterproof watch, technical fabric shirts/shorts, sunglasses, sunscreen.) It is supposed to increase the effectiveness of the evolution by 30% by destabilizing the core muscles. We’ll see. But I am sore and it takes no more time than my new “indoor” routine usually does. Running the exercises as a circuit elevates my pulse decently. But I miss sunrise on the porch. i’ve been seeing key limes at trader joe’s lately. a couple of $$$ for a small back with maybe 20-30 key limes in it. Yum to recipe and thanks for the idea to go eat lunch at a museum! Glad I stopped by! I don’t work either. Isn’t it great?! Neither do I have children. Morning routine is juiced carrots, apples, celery and ginger, or juiced pineapple. Then either downstairs to the pool and 60 lengths (1500 metres), or an hour in the gym. Back up for either mango, or unsweetened meusli with soya milk. My exercising and diet in the last 6 months mean that I’ve lost 10 kilos, and I’m feeling great. The only drawback is having to redo the entire wardrobe, but it keeps my tailor happy. Then it’s attending to the day’s corrspondence and checking the markets, updating blogs, the reading thereof etc. And then it’s usually time to think about whether it would be good to go out for lunch, or to russle up something at home. I must say, I’m enjoying retirement at 51, which is good, because I’ve been doing it for about 11 years, and I hope I can for a good few more. The important thing is to have a routine, however mundane it may sound! If I have a late night I certainly don’t rush in the mornings, but only make sure I’m up, dressed and looking presentable before the maid arrives for the afternoon. Routine is the key; you need a reason to get going! 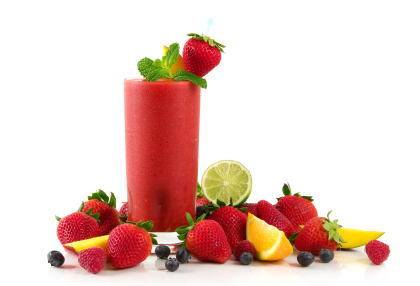 blend and drink and works to put my hunger at bay…. great when I am short on time! I love juicing veggies too! Back to my routine, once school starts for my children.